OverviewIn Ape Escape 3, you can try to stop another attempt by Specter and his evil monkeys to rule the world. Use nets and other weapons to capture monkeys. 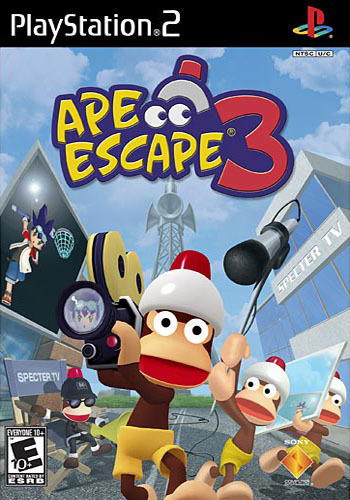 Ape Escape 3 is a 3D adventure platformer and the last main series entry in the Ape Escape franchise. Players take control of either Kei or Yumi as they take down Specter's plan to rule the world through brain-rotting television that has left the heroes from the previous games as mindless couch potatoes. The game is heavily modeled after the second installment as health and coins work the same as in that game. The player can also buy things like in the previous game, but now they are allowed to buy specific items rather than dumping coins into a roulette machine. There is also a new feature that allows players to make small movies using the monkeys they've captured as actors. 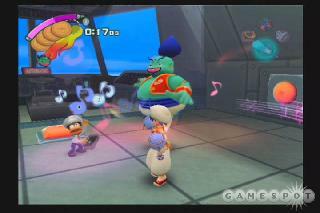 The gameplay is more or less the same as Ape Escape 2 with one major change. Characters now have access to transformations that grant them special abilities and improve their combative potential. These transformations are somewhat of a replacement for the gadgets from previous games as this game has less gadgets than the second game. The Water Net in particular has taken emphasis away from underwater exploration as water is now incredibly shallow in terms of how deep you are allowed to dive in. 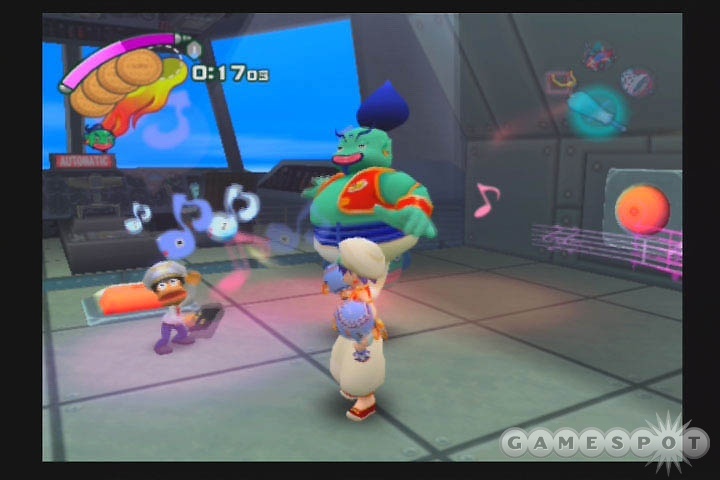 The Freaky Monkey Five return as boss fights and are much more extravagant than they were in Ape Escape 2 as their boss fights are based around the transformations the players obtain in the level prior to fighting them. 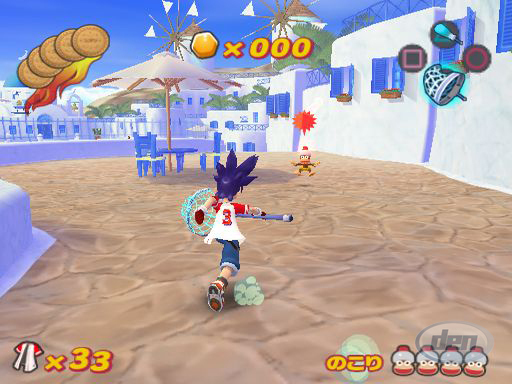 This game also has the largest number of monkeys to catch in any Ape Escape game. Ape Escape 3 is the perfect send off for what would sadly lead to a series of spin-off games, but the original trilogy is definitely worth remembering. Now you can add videos, screenshots, or other images (cover scans, disc scans, etc.) for Ape Escape 3 (USA) to Emuparadise. Do it now!